We provide our ecig clients with the highest quality eliquids, refills, accessories, kits and modification. You are our guest when you shop with us and with our knowledgeable team members our mission is to provide the best ecig shopping experience you’ll ever have. 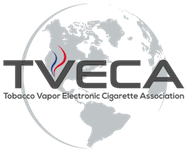 We set high standards for your LeCig experience and stand behind every ecig product we sell with a satisfaction guarantee. Our mission is to be a place where our guests find more than they expect with excellent customer service and quality products. We encourage our guests to contact us directly at (870) 525-1440 or click the chat button in the upper right hand corner of their browser window if they need help with any electronic cigarette purchase decision. LeCig was founded in 2009 by Mike and Dee Elias. We are an American based corporation growing fast locally and nationally headquartered in Arkansas. With the goal in mind to provide innovative and competitively priced products, a basic ecig education to the curious, build lasting relationships with our LeCig Wholesale Partners, and provide outstanding customer service to all our guests.